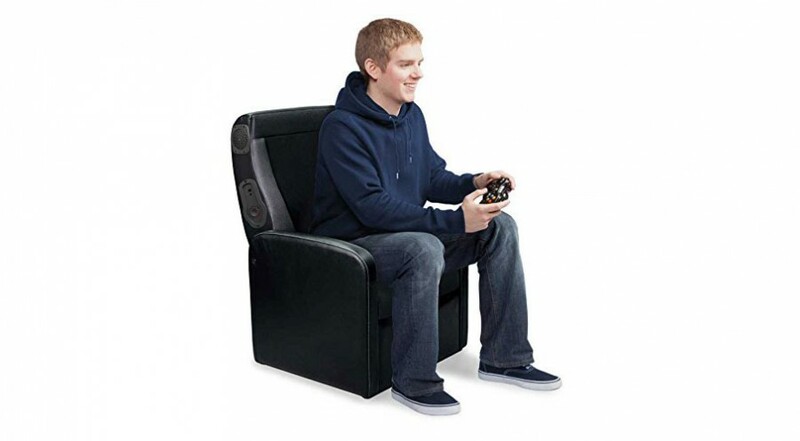 Category: Gaming Chairs. 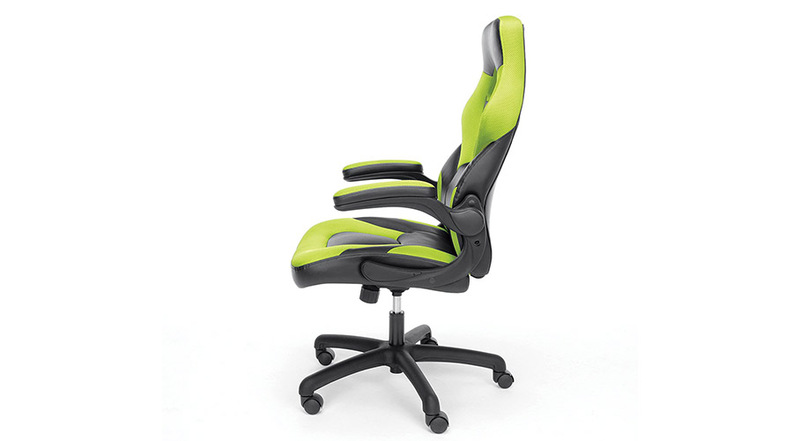 Tag: gaming chairs. 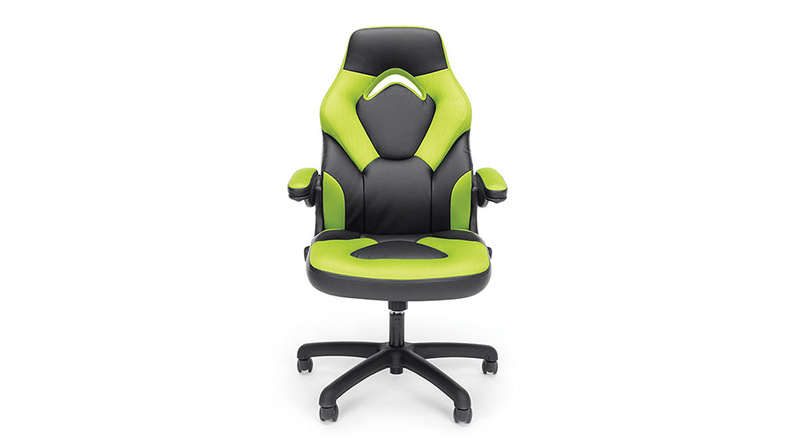 The Essentials Leather Gaming Chair by OFM takes the standard desk chair to a whole new level. 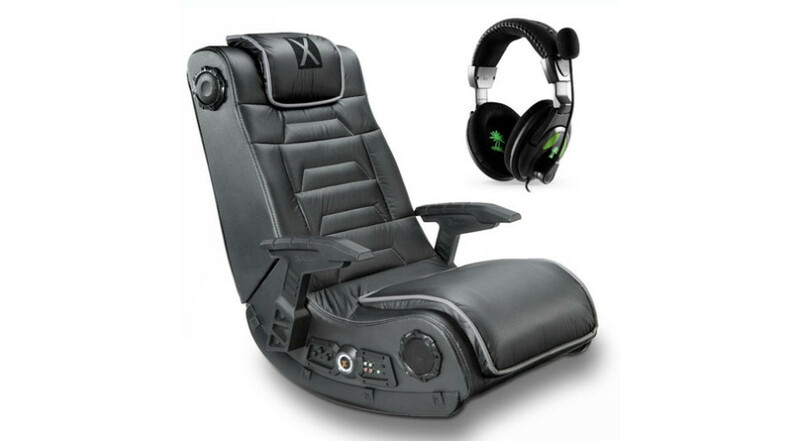 With it’s slick and sporty design, there are many more features that makes this a leading player in the gaming chair space. 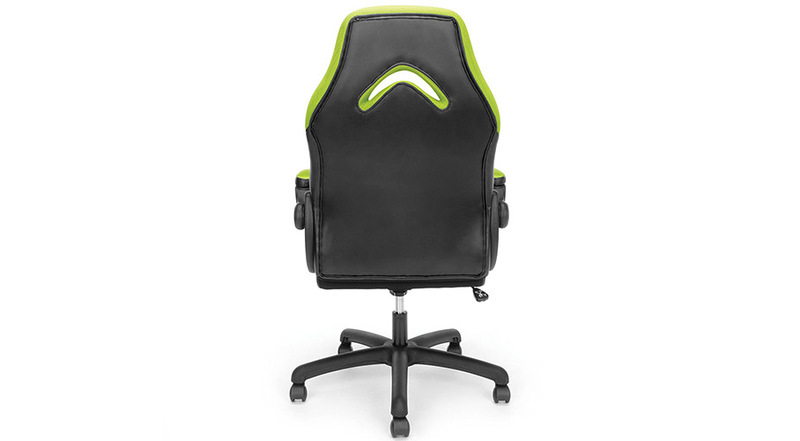 A perfect choice for the office and at home, the Essentials Leather Gaming Chair will keep you comfortable whether you are completing an Excel spreadsheet or playing Call of Duty for hours on end. 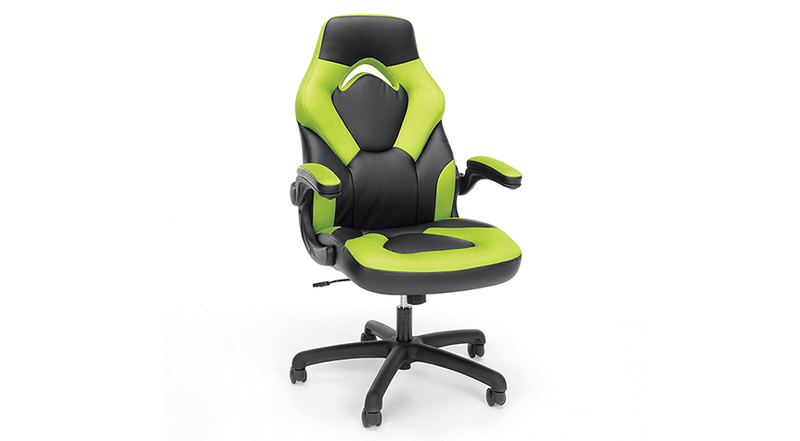 The gaming chair features an ergonomic race car style, contoured segmented padding, a high back and integrated headrest and lumbar support. 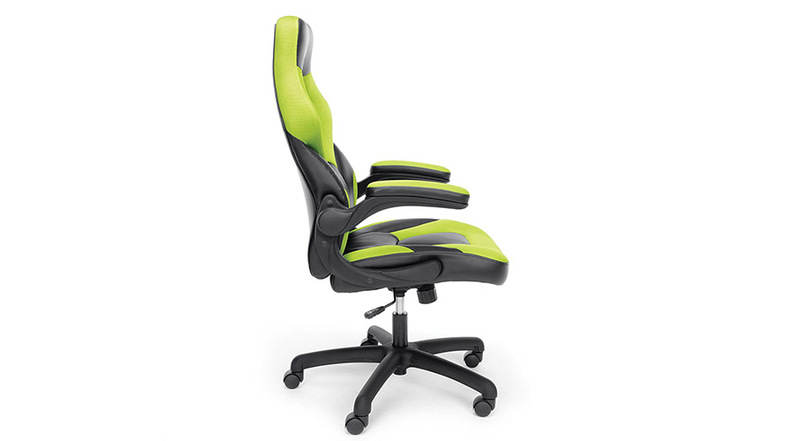 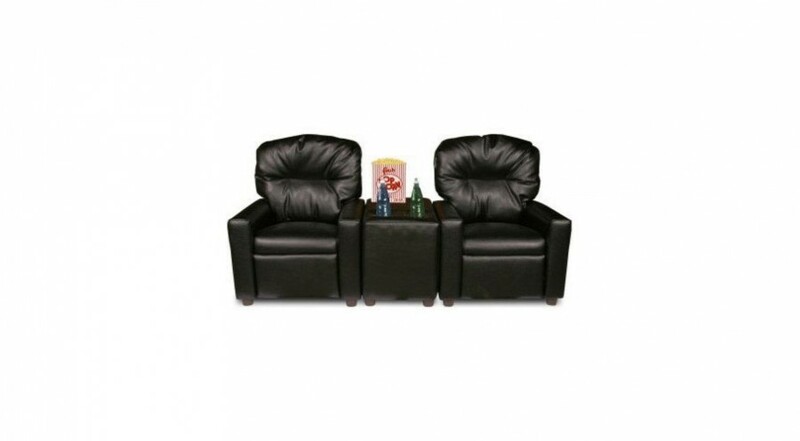 Also comes with padded and adjustable armrests and seat height. 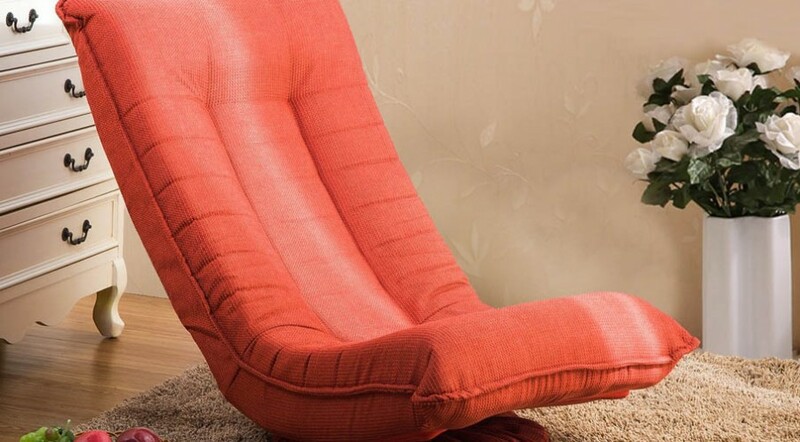 All of which deliver comfort.